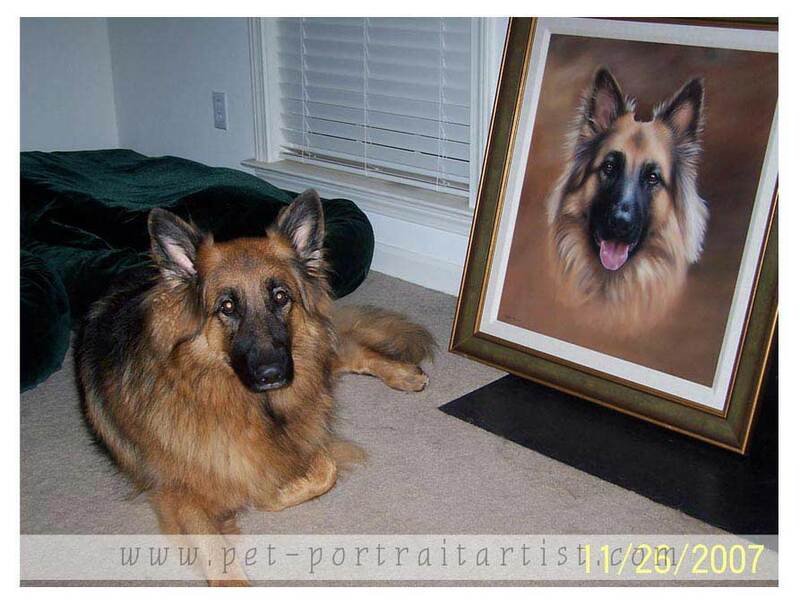 Francie commissioned me to paint her beautiful Alsatian called Kali. 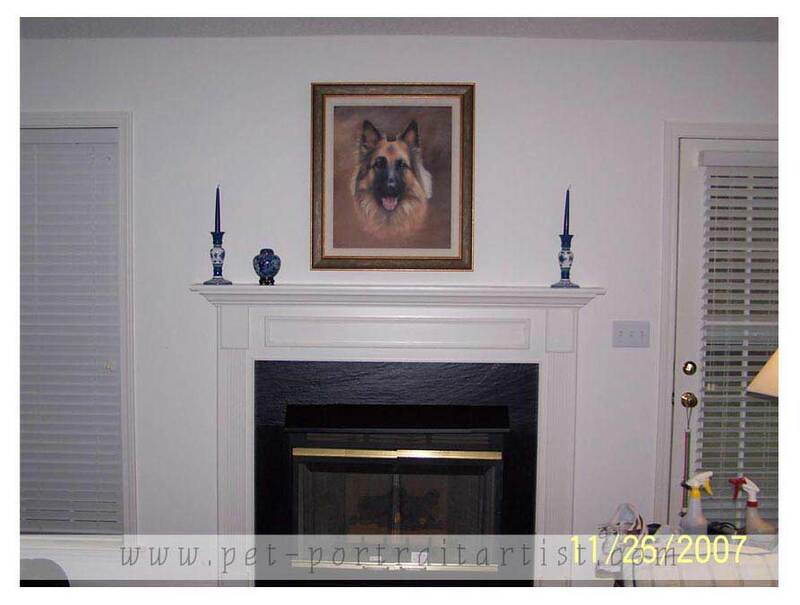 A very special dog and the painting hangs pride of place in her home as you can see from the photos below. Francie has written me some lovely emails which you can read below. I opened the package and, OH MY GOSH!!!! It's beautiful! I can't wait to have it framed. I'll definitely send you some pictures. 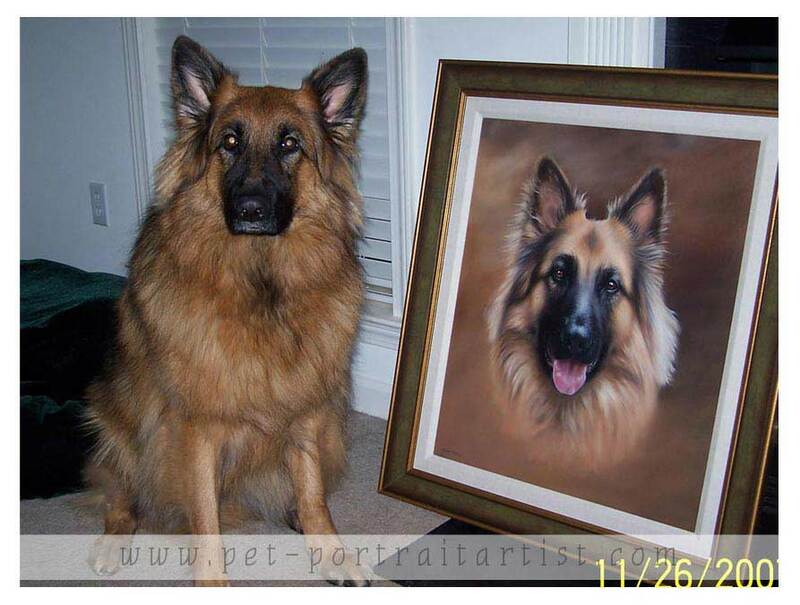 I'm so glad that you I picked you to do her portrait. It's absolutely stunning! Here are a few pictures of the Kali’s oil painting. The print is hanging in my aunt’s house and I haven’t gotten over there yet with my camera, but she says that it just completes her living room. Kali really doesn't look that good in the pictures with her painting – she didn’t want to cooperate that day and I had to use the flash because it was raining that day. Anyway, thanks again for such a gorgeous painting. It definitely grabs your attention when you walk into the room. I’m still amazed by what beautiful work you do! 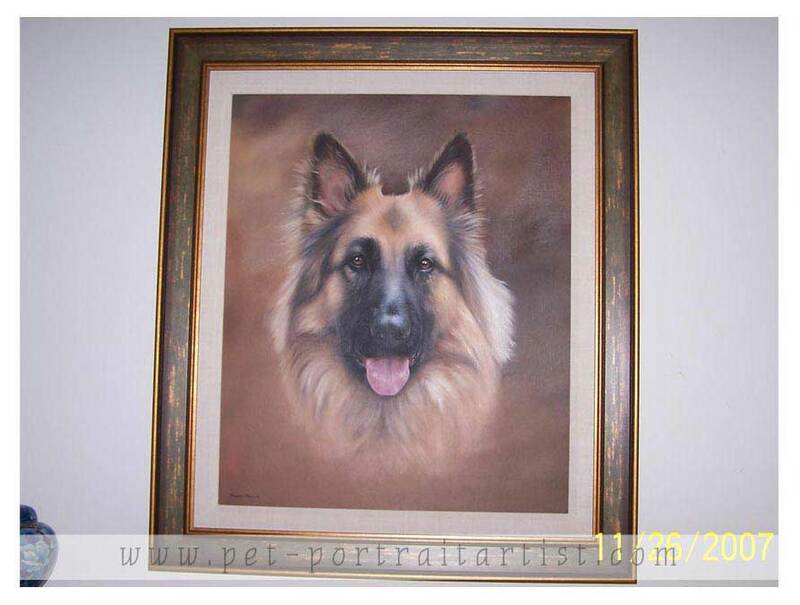 Now I have to start saving my money for a painting of Roxie, my other German Shepherd. I haven’t taken a picture of her that I absolutely love, like the one of Kali that you painted.Hope you have a wonderful Christmas! And stay warm! The weather’s not too bad here. It would be nice if we could get one good snow this year. The dogs absolutely love it! And it’s pretty, too.